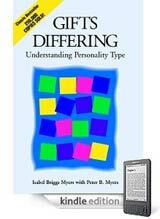 HomePersonality Type JournalBernie Sanders INFJ Personality? Is Bernie Sanders an INFJ or INFP Personality Type? In an article written last spring I concluded Bernie Sanders was an INFP Personality Type. Recently I received a note from an experienced user of the MBTI assessment who strongly asserts I am improperly typing Bernie as an INFP; he is an INFJ the writer says and he should know because he himself is an INFJ. 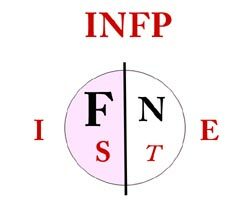 Introverted Feeling is the driving force for INFP types. As I stated in my article on Bernie “in some ways Bernie is not your average INFP.” Bernie certainly displays behavior which is consistent with INFJ. 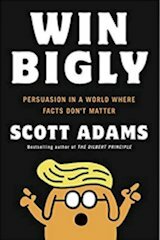 He is assertive and has a confident belief in his own vision, “sticks to his guns” in arguments, reluctant to give in. INFJ is consistent with being a social justice warrior. 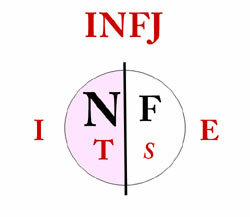 So I’ll allow that the label of INFJ could fit Bernie. But I presented Bernie as an INFP for a couple of reasons. One was because I saw Bernie as an atypical INFP and while all INFPs share some common traits, there are some who are rare birds for their ilk and I thought it instructive to present an example of a different INFP, break the stereotype some have on INFPs. The primary reason I typed Bernie as an INFP was his consistent dedication to his socialist and humanistic causes from his late teens to now being a 75 year old man. Almost 60 years of loyalty to the same cause, the same vision. INFPs core mental process is Feeling; their internal Feeling judgment is what all their other mental faculties revolve around. Feeling is value driven and is uncompromising to those values. As a teenaged INFP Bernie would have naturally been sympathetic to the humanistic values of socialism. His early involvement in joining socialist organizations would have reinforced these values and help form a strong commitment to them. . . . that could last a lifetime! I just don’t see an INFJ remaining so consistently committed to a set of humanistic precepts for almost 60 years. There would have been evolution; changes in the world view; new understandings, new insights. Introverted Intuition as the driver of his being doesn’t fit Bernie’s long-standing commitment. Feeling does. It can drive a religious fervor and lifetime loyalty. There’s also a nuanced distinction between steadfast Feeling attachment and steadfast Intuitive attachment to ideas or concepts. Feeling attachment is humanistic and value oriented. It is about Right and Wrong; how things should be. Intuitive attachment is about grasping the essence of something, a conceptual perception. It is an understanding of the nature of something; how things are. While more typical INFP types are “usually gentle and kind” people (see Danielle Poirier description) Bernie’s assertiveness and willingness to fight for his ideals and (other qualities that people could associate with being an INFJ) are his having learned to sharpen and use his thinking and extraverted nature in the service of his ideology. So I remain committed to presenting Bernie as an atypical INFP; I think the weight of evidence tips the scales in this direction. PS Attempting to accurately type the personality of public figure based upon media information is ripe for mistakes. This article and others I’ve written that discuss the personality types of public figures are an educational exercise in understanding different aspects of personality type theory with a dash of entertainment thrown in to add some interest in the subject.